Hello Sunshine! It's been a VERY long while since my last nail post. Now, to break that silence, let me share with you this quick photo of China Glaze Burnt Buns on my tips. I remembered it because I feel like it's the type of coral perfect for the bright sunny days of summer! While I don't have any new nail posts to share, I thought I'd list down some nail polishes that I am eyeing on. These colors represent the typical summer tripping mood that I've been having the past few days. Help me decide which to get? Leave a comment below! 1. 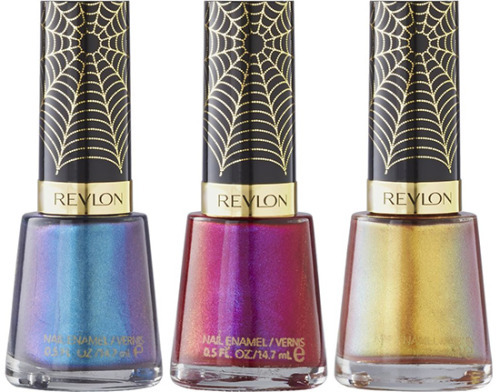 Anything (or everything) from the Revlon Spiderman collection! Generally, soft pinks and lilacs look great on my nails, so I'm very torn between no. 2 and 3! However, the metallic duochromatic beauty of the Spiderman collection is too alluring to resist!